An interest in cultural dialogue and exchange took two Wake Forest students halfway around the world to Kuala Lumpur, Malaysia. Henderson Trefzger and Przemyslaw “Dalton” Wilczewski joined nearly 400 students from more than 50 countries for the Global Model United Nations conference in August. 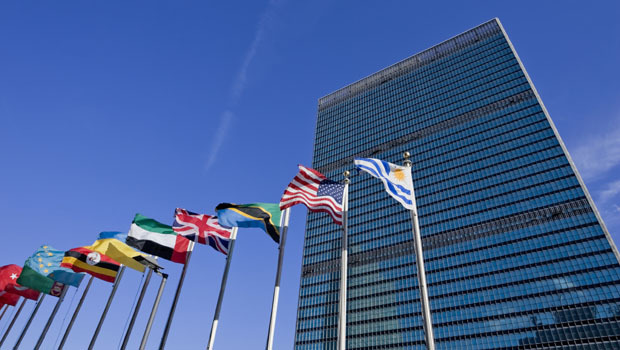 While there, the students prepared an outcome document with a declaration and four resolutions that will be presented at the United Nations General Assembly in New York this week. Under the theme “Towards an Alliance of Civilizations — Bridging Cultures to Achieve Peace and Development,” the conference in Kuala Lumpur focused on how to incorporate intercultural dialogue into government policies and strategies as a means to address issues of global peace and development. 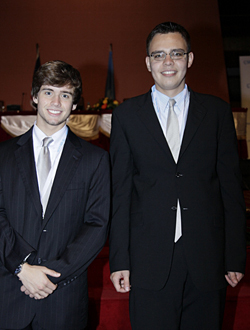 Henderson Trefzger and Przemyslaw “Dalton” Wilczewski joined nearly 400 students from more than 50 countries for the Global Model United Nations conference in August. The document the participants drafted addresses how member states should be making progress on the Alliance of Civilizations, a United Nations initiative launched in 2005 by the president of Spain. The main objective of the Alliance of Civilization is to seek international peace by focusing on the practical benefits of intercultural exchange, such as overcoming cultural stereotypes, encouraging economic development through the markets and developing joint business ventures. In Kuala Lumpur, students from every region of the world role-played as foreign diplomats and participated in simulated sessions of the United Nations General Assembly. Since the event was hosted by the Malaysian government, students heard from several Cabinet-level Malaysian leaders. They also attended talks by United Nations officials and watched a video message prepared for them by Ban Ki-Moon, Secretary General of the United Nations. While in Malaysia, Trefzger and Wilczewski not only had the opportunity to attend the conference but also to travel in the region. Trefzger, a Spanish major, and Wilczewski, a finance and history major, were among only a handful of American students attending and, according to Trefzger, only about 15 percent were from the Western Hemisphere. The two students received a grant from Wake Forest to make the trip. They were chosen through a competitive selection process.